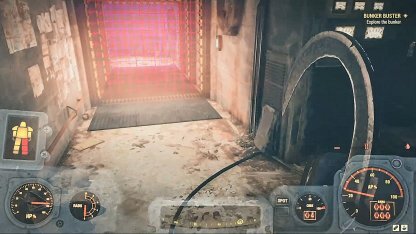 Check out this guide for a full walkthrough of the Bunker Buster Quest from Fallout 76, including gameplay tips, guides, & more. 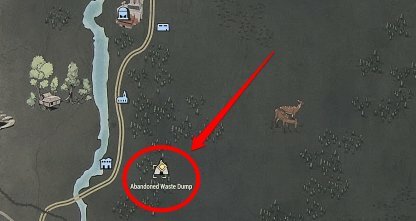 The Abandoned Waste Dump is found in the Easternmost side of the map. It is a short walk East from the Southern Belle Motel. 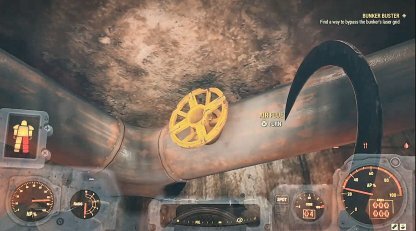 The Bypass Holotape is in the Deathclaw Nest with bones and leaves piled up on it. 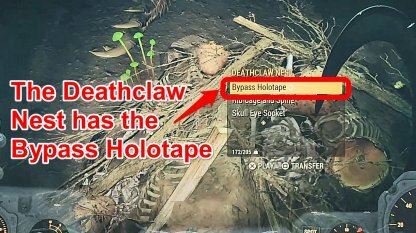 Approaching it will reveal the items stored in it, and one of them is the Bypass Holotape. 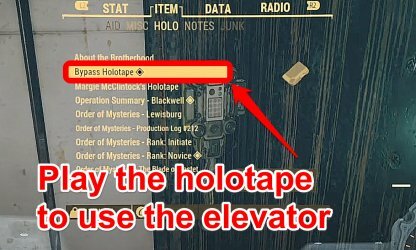 You will not be able to use the elevator unless you use the Pip-Boy to play the Bypass Holotape. This will then allow you to interact with the button in the elevator. 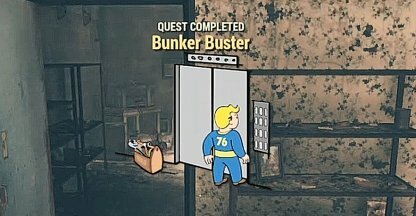 You will need to find the laser grid in the bunker to be able to progress the quest. It is found in the door directly in front of you as soon as you enter the kitchen area of the bunker. 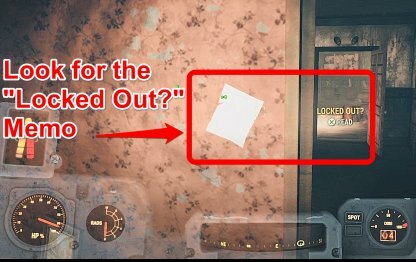 In the bunker's upper floor bedroom, you will come across a note stuck next to the doorway that gives instructions how to manually bypass the bunker. The Circuit Breaker can be found in the room to the left in the main area. It is right next to the washing machine. The Air Flue will be found in one of the rooms on the Eastern side of the Bunker. It is located above the generator. The Circuit Conduit is found on the upper floor of the Bunker. 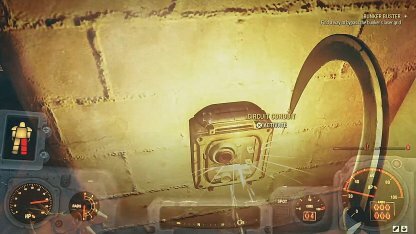 You will need to walk across some vents to be able to access it. Once you have done these steps, go back to the Hand Scanner by the Laser Grid, and you should be able to bypass it! 5. 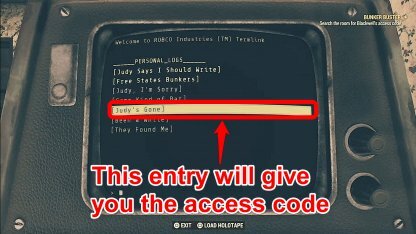 Read The Entry "Judy's Gone"
The entry: "Judy's Gone" will give you a possible access code to enter into the keypad. 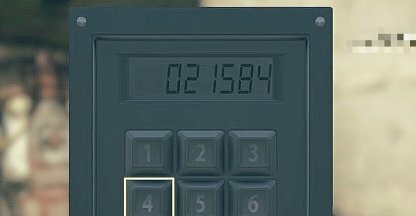 The possible code is 021584. The Access Code that you will need to enter into the keypad is 021584. 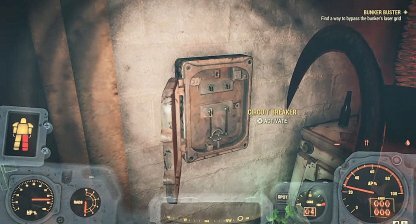 This will then trigger the noise in one of the paintings in the room, and give you the "Welcome to Whitespring" Holotape.